All Millwood homes currently listed for sale in Millwood as of 04/22/2019 are shown below. You can change the search criteria at any time by pressing the 'Change Search' button below. If you have any questions or you would like more information about any Millwood homes for sale or other Millwood real estate, please contact us and one of our knowledgeable Millwood REALTORS® would be pleased to assist you. "Rare offering Historic Carter Hall. 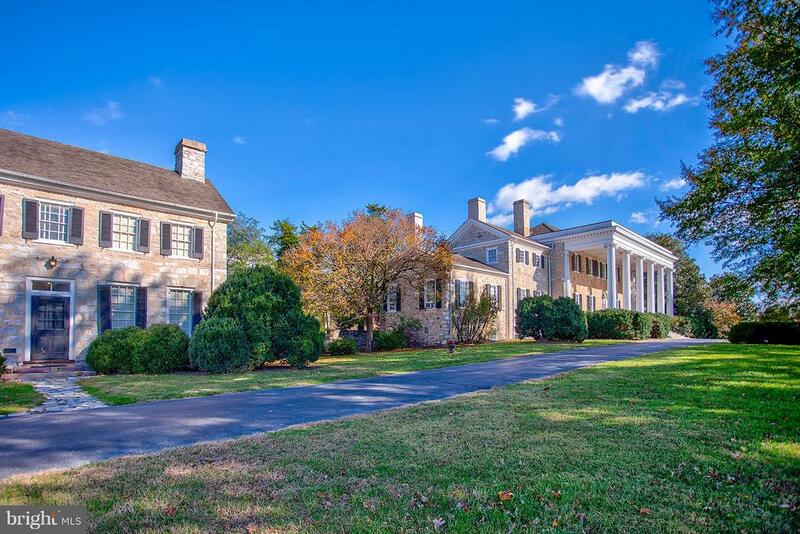 This glorious limestone Manor house commands sweeping views of the Shenandoah mountains. Flanked by two dependency stone buildings, one the original school house for the property, and the other served as the kitchen. Now, both are charming guest houses. You will find a total of 14 buildings on 87 acres outlined with stacked stone walls, century old trees and timeless gardens and landscapes. Stunning architecture has been well preserved and maintained. The property, currently used for meetings and conferences, can accommodate up to 42 overnight guests. The administration building is 26,000 square feet on 3 levels, with additional finished office space in the former stables. The greenhouse and several early wooden outbuildings remain intact. Carter Hall is on the National Register of Historic Places. Clarke County zoning allows 3 more building sites on the property. A truly unique and historic opportunity." 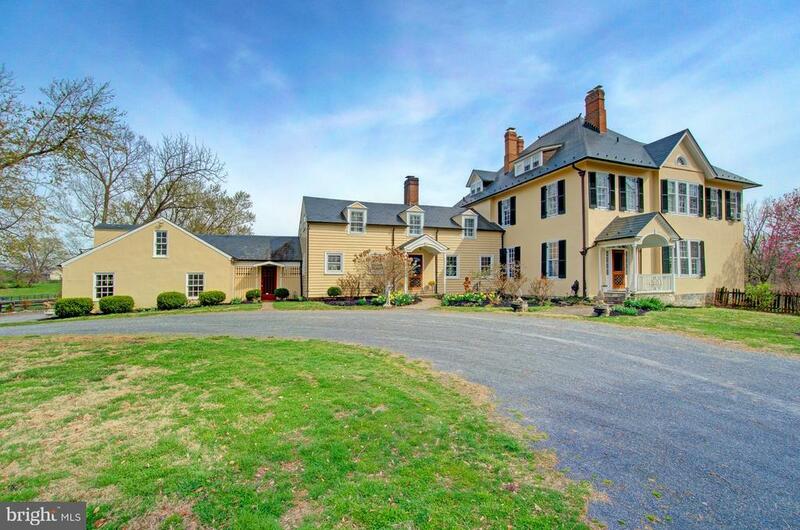 "Set on more than 121 acres of scenic countryside, the beautiful and secluded Mt Airy Farm is the embodiment of a what a country estate should be. Located within close proximity to the Blue Ridge Hunt Point to Point, Millwood Country Club, Sky Meadows State Park, the Virginia State Arboretum, Carter Hall and many other properties of historical significance, the estate is near to the antique stores, restaurants and amazing horse riding country for which historic Millwood is known. Signaled from the road only by an elegant stone and iron gate, the farm reveals itself only from a long and winding drive. It offers a regal main home plus an income-producing stable with 14 stalls, large ring, pastures with water and run-ins, as well as two cottages and a kennel, all set among gently rolling hillsides and mature, towering hardwoods. Built in 1850, impeccably maintained, Colonial-style main residence boasts all the cherished features of historic properties such as hardwood floors, custom millwork and moldings, a gracious staircase, high ceilings and large windows with approximately 6,275 square feet. A sophisticated venue for entertaining, the stately foyer welcomes guests to a grand fireplace and leads to a large hall for dining and mingling. French doors open from every main level room to the wrap-around porch with sumptuous views of the mountains and pool. Everyday life is enhanced by a library with wood paneling and built-in shelving, a cigar lounge with wet bar, and comfortable living room and sun room. An inviting, south and east facing master suite with fireplace, generous secondary bedrooms, a circular drive and attached garage are further highlights. With ample square footage to house multiple generations of family members, as well as the potential to generate substantial monthly income, this timeless estate is a unique opportunity and a solid long-term investment. With its private, but sophisticated location and extraordinary views, the timeless value of this pro"